Thursday, April 25 - 4 to 7 p.m.
Friday, April 26 - 9 a.m. to 5 p.m. Shoppers will find many varieties and sizes of hydrangeas at our annual Spring Plant Sale! Our main feature is always the "Snowflake" hydrangea, but shoppers can also choose from a host of others. Customers can own "a little bit of Aldridge Gardens" when they buy a pass-along plant that lived there! We are going to have many plants with an Aldridge Gardens heritage. 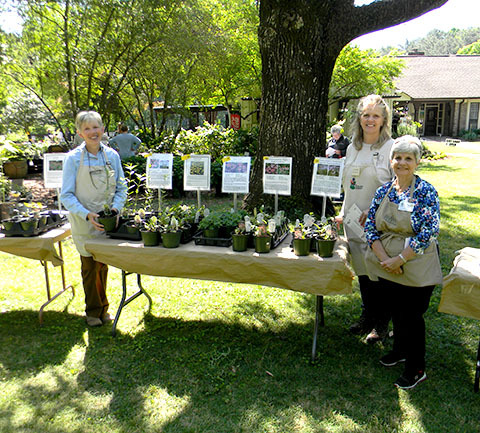 In addition, we'll also have many more from members and friends of the gardens! Here's a list of our Available Plants for 2019. Members get 10% off all purchases with their membership card!